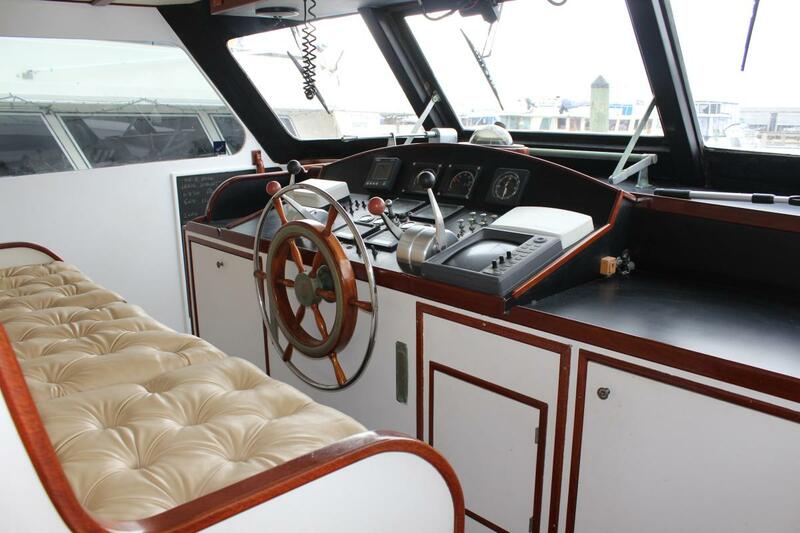 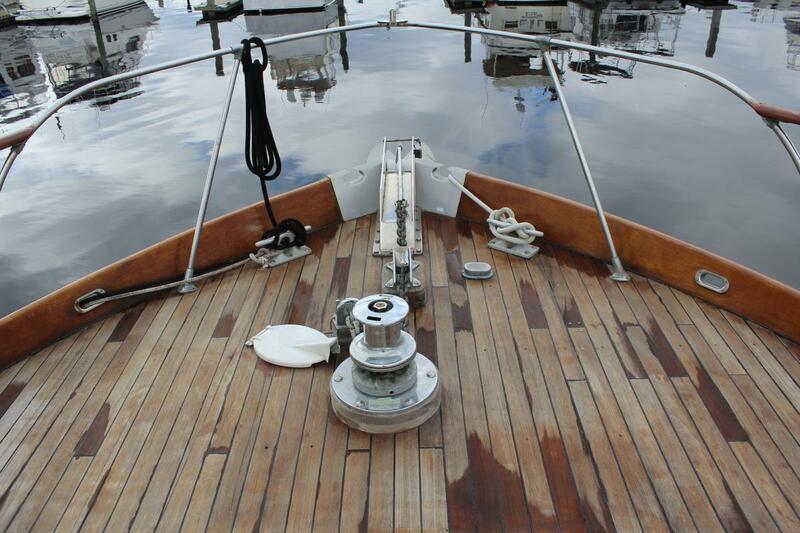 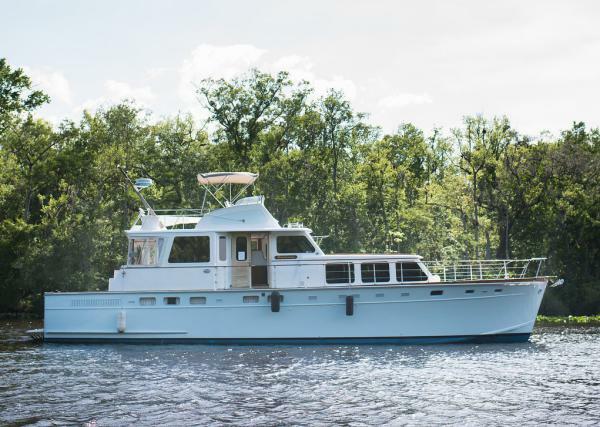 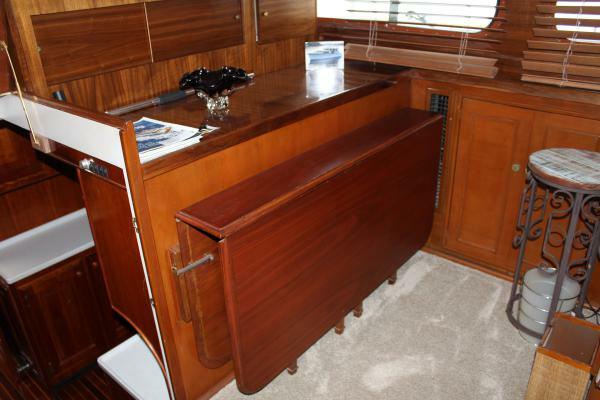 This classic Atlantic 60 was originally built for the Pew family who founded the Sun Oil Company (now known as Sunoco). 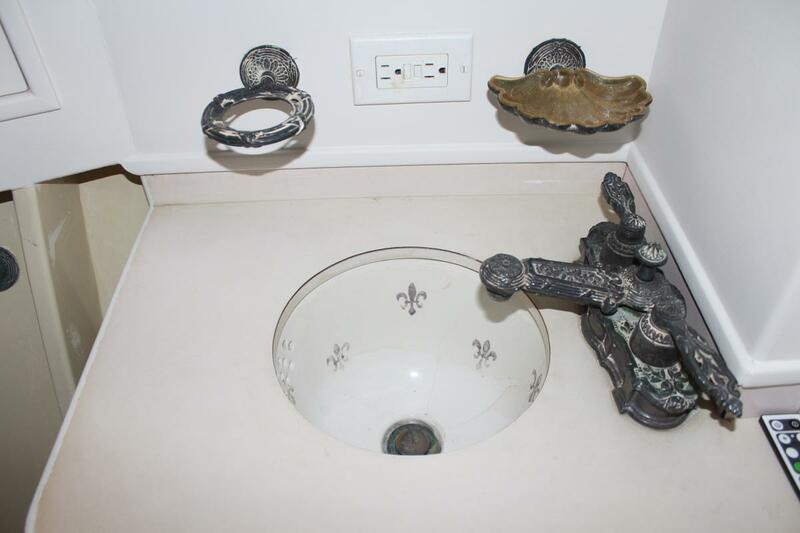 In 1957 the family's wealth was on display for all to see when the Pew brothers were listed on the Fortune magazine as some of the wealthiest Americans. 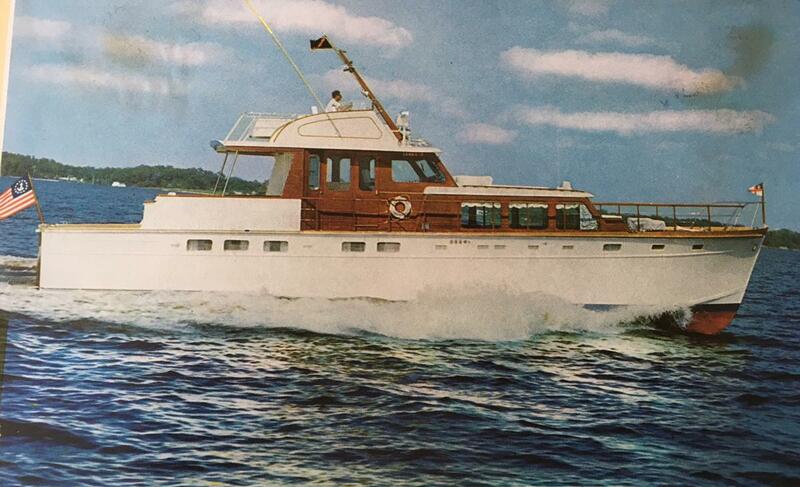 Needless to say there was an endless budget when this boat was built and it was one of the most expensive builds at that time. 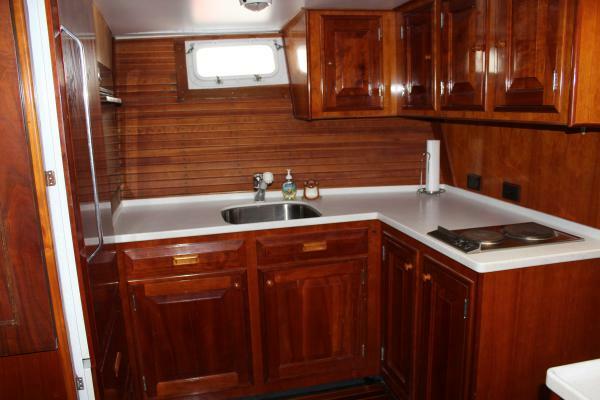 This is the only Huckins built with walnut wood in the Salon and lavish fixtures feel like something straight out of the Gilded Ages. 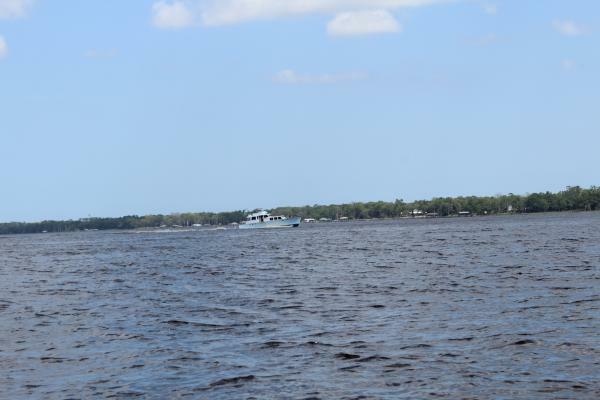 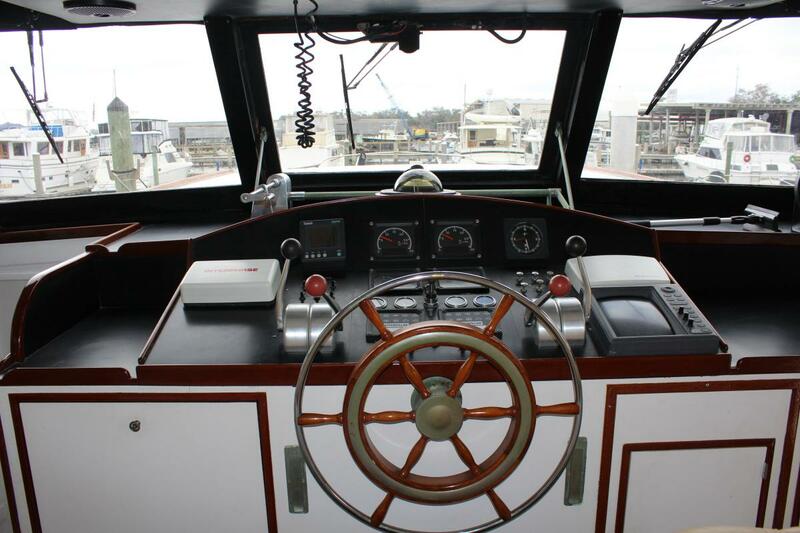 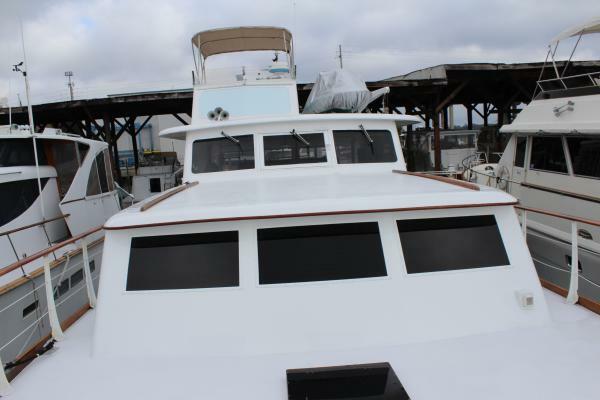 The Huckins yard completed an extensive 3 year renovation from 1996 through 1999. 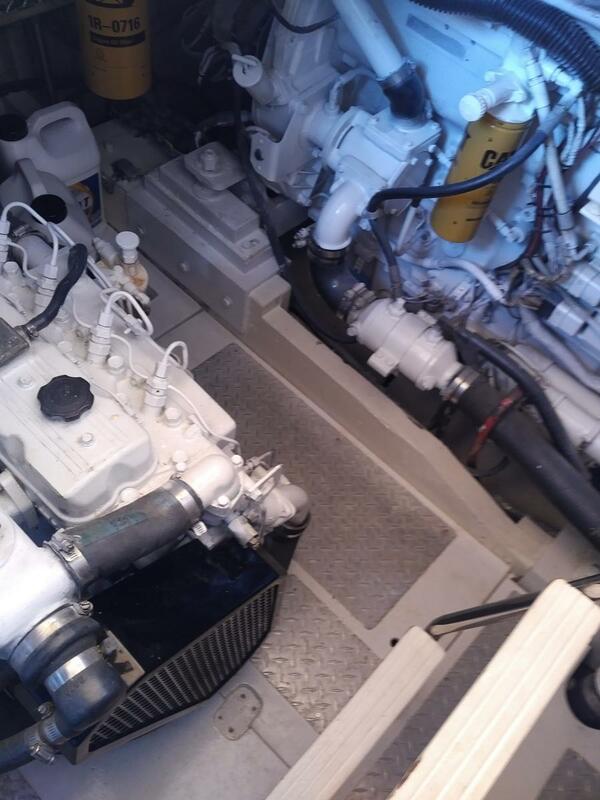 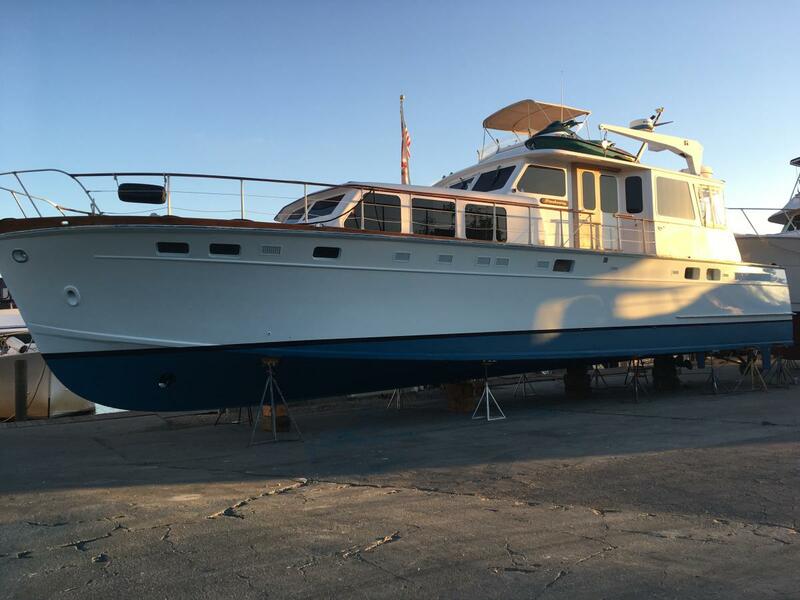 The project included a re-power with new Caterpillar 3176Cs, redesign of the lower (main) helm and aft bridge deck, alterations to the salon, the master stateroom, and the master head which has a full size tub. 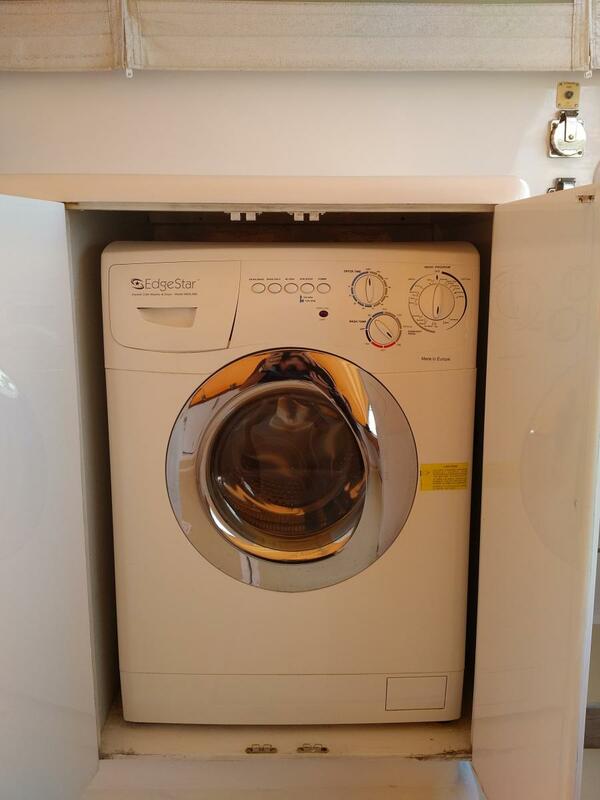 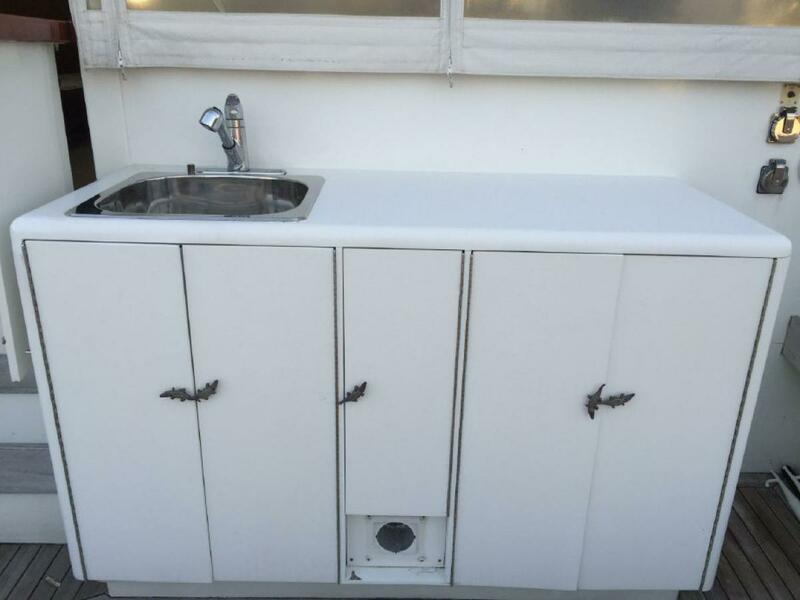 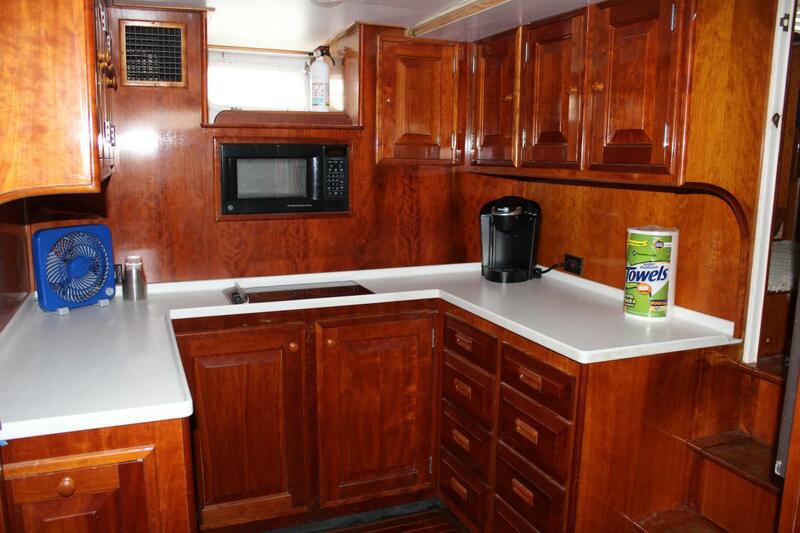 The Hinckley yard renovated the galley in 2001; new cabinetry in cherry with high-gloss finish; counters are off-white Corian; sole is teak and holly; cooking appliances are Miele with Sub-Zero refrigeration. 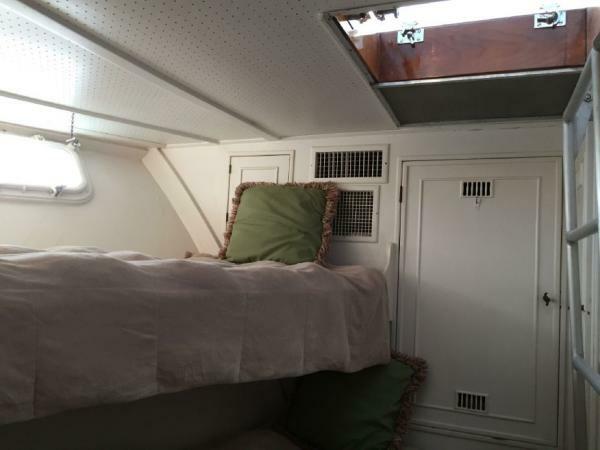 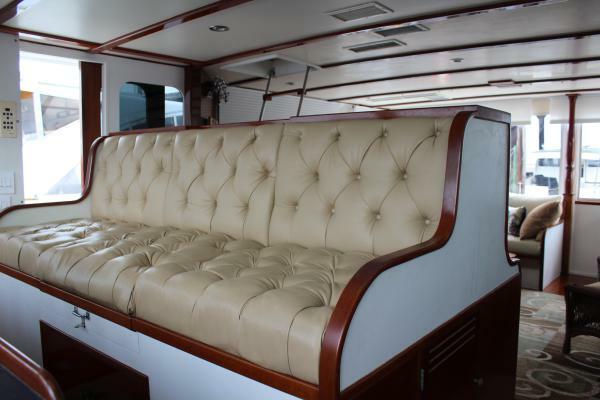 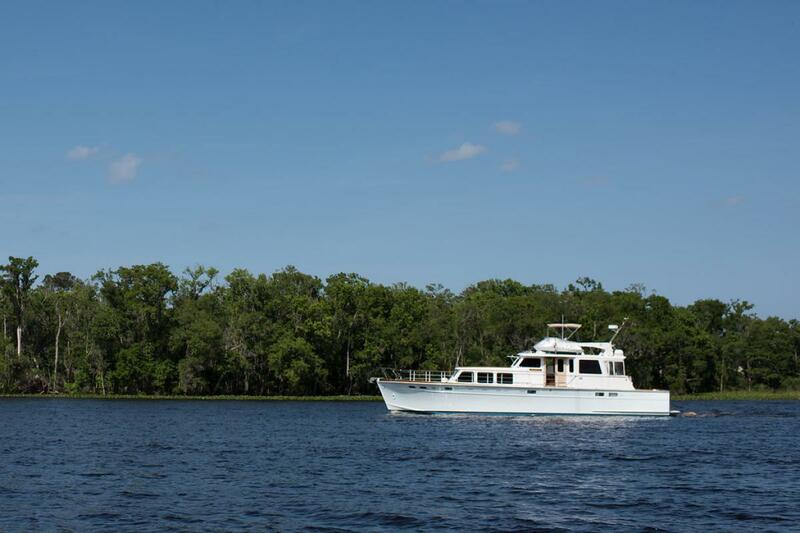 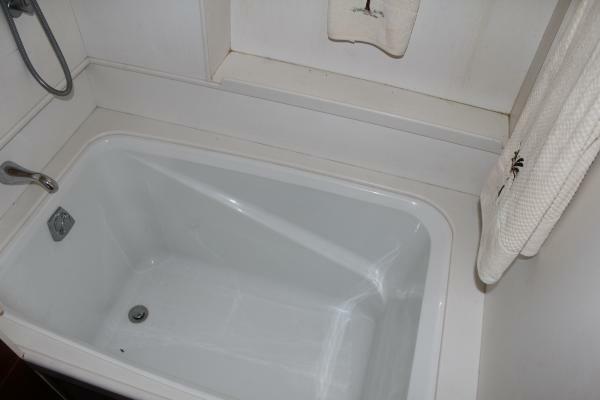 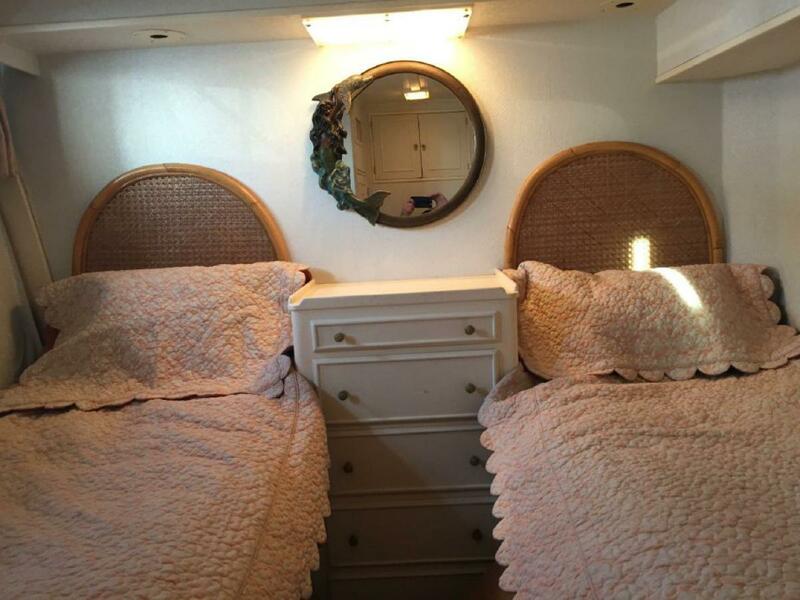 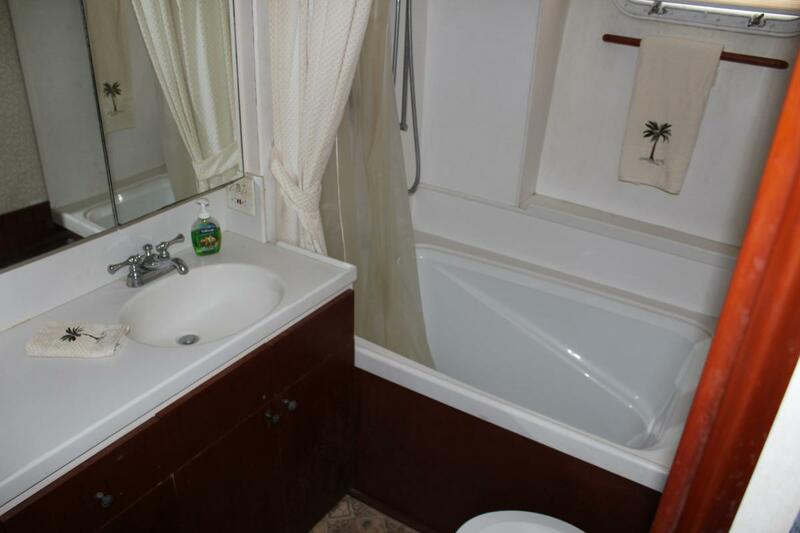 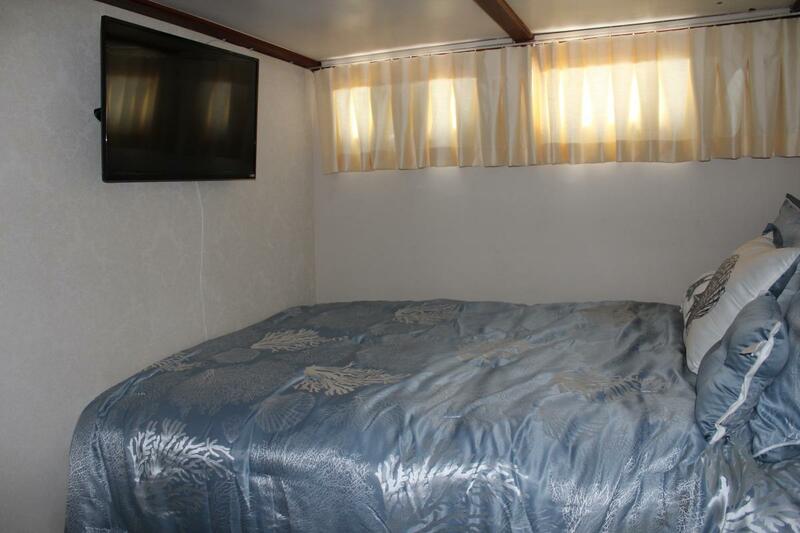 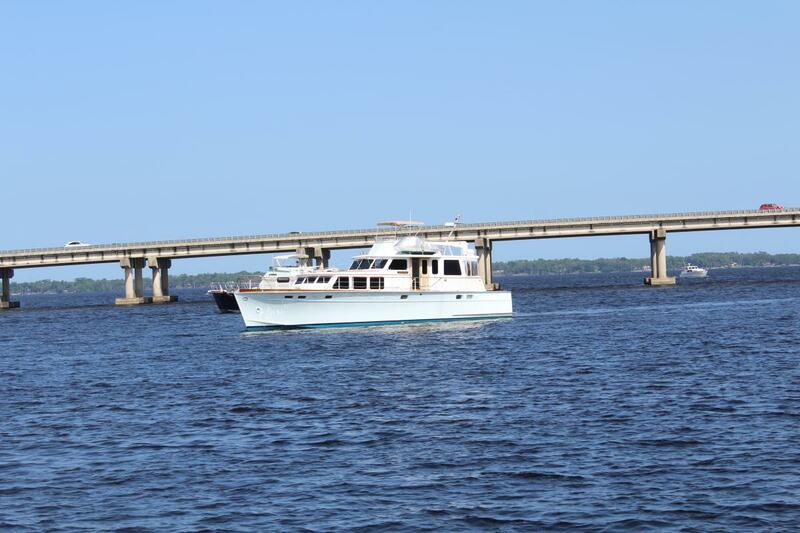 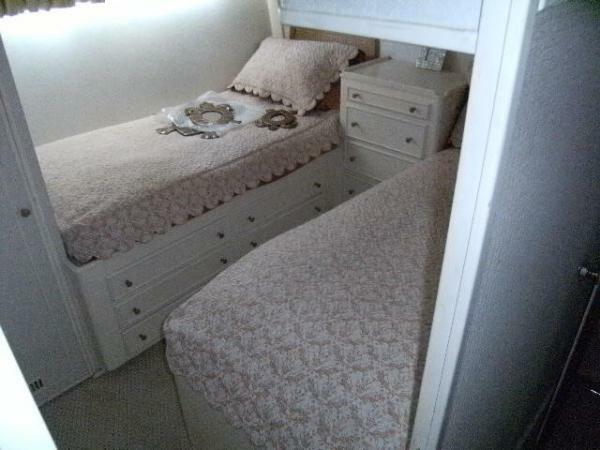 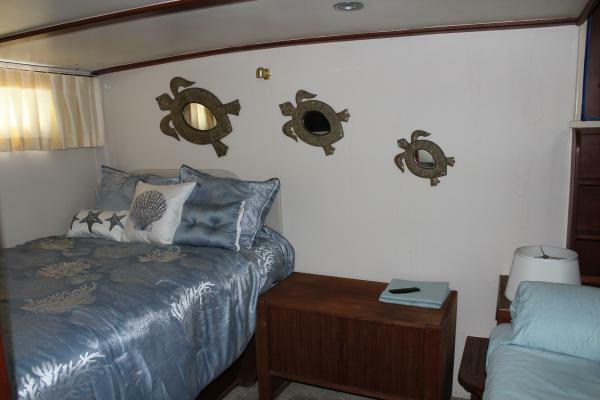 The spacious interior is tastefully decorated and can sleep up to 6 in three staterooms. 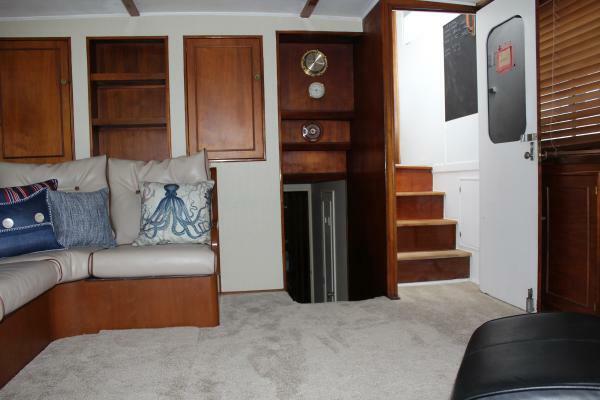 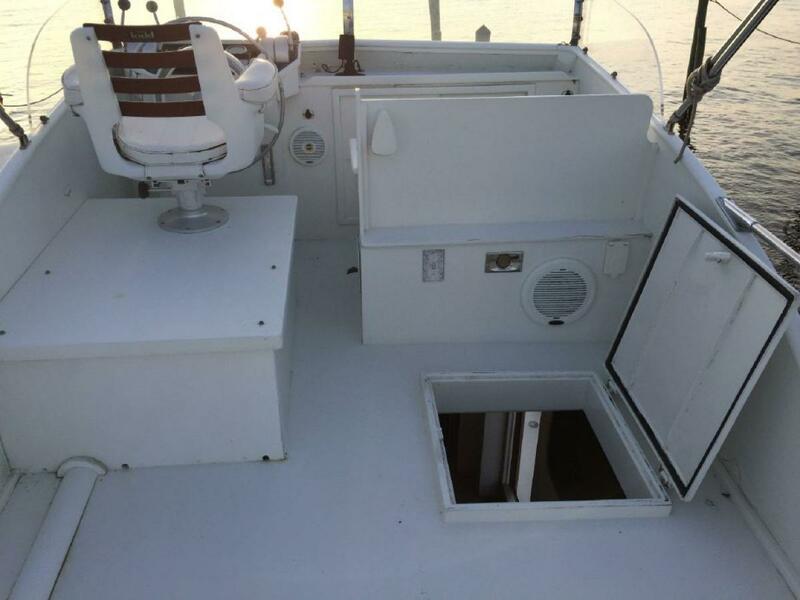 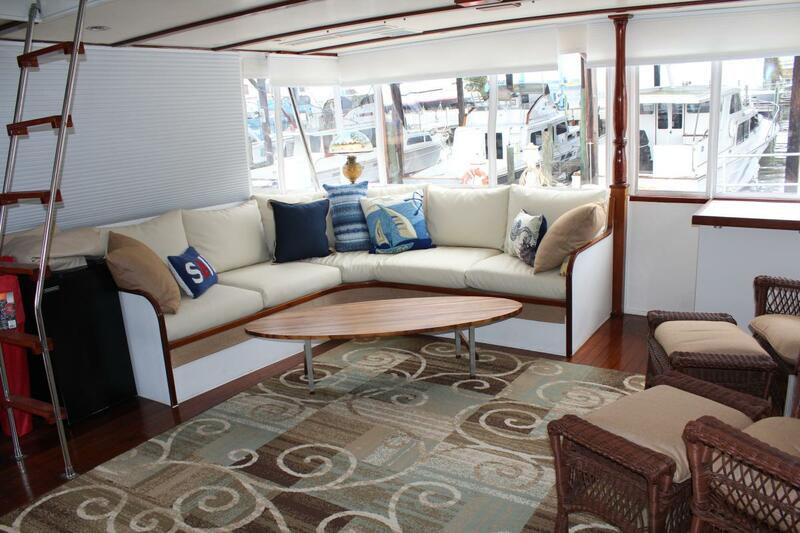 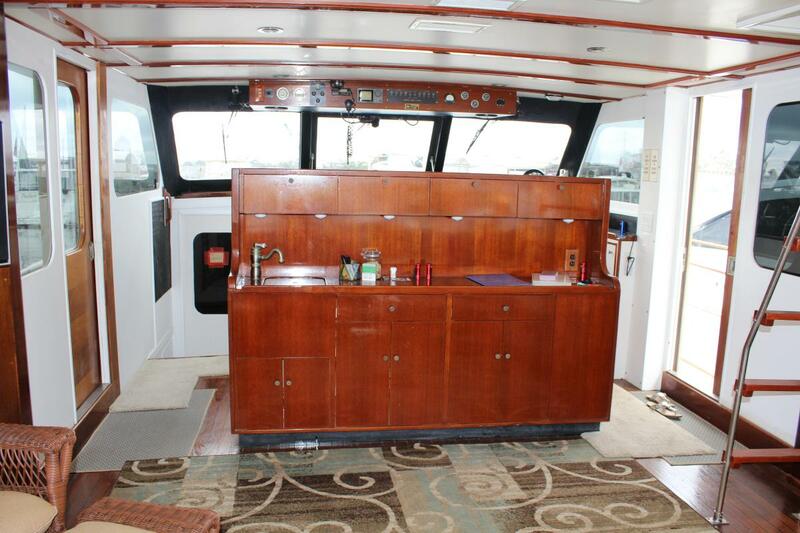 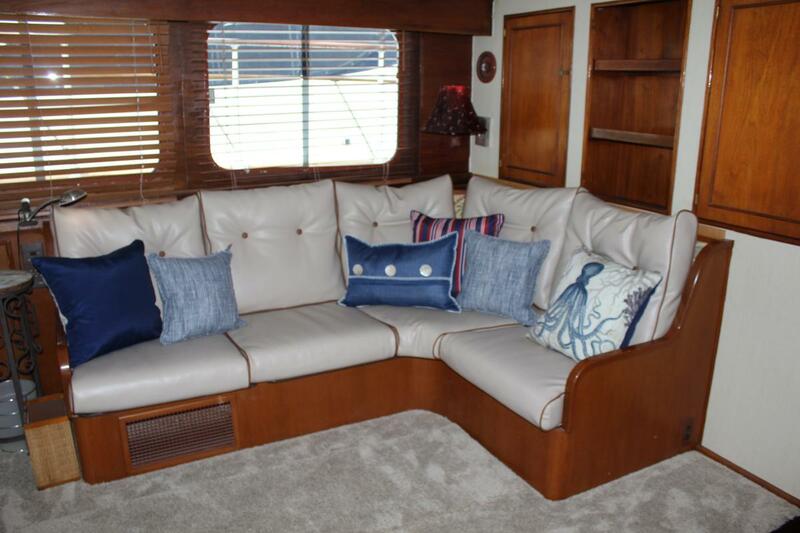 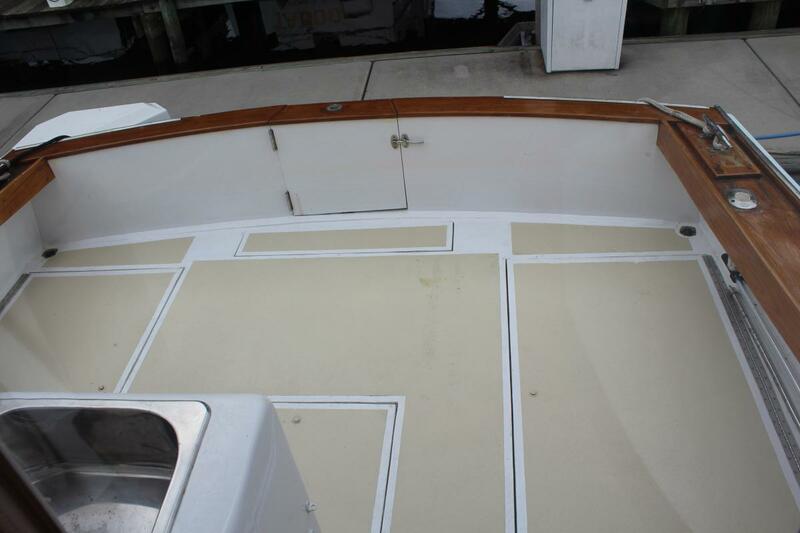 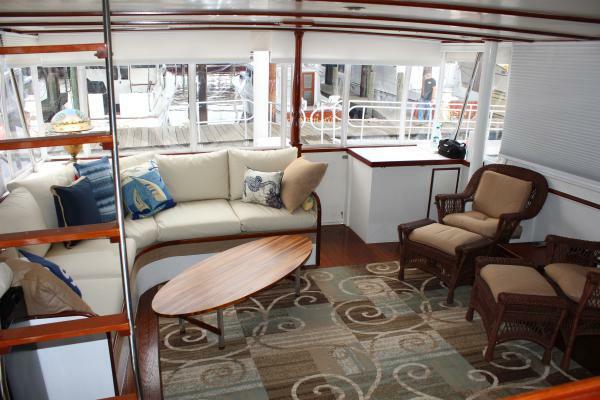 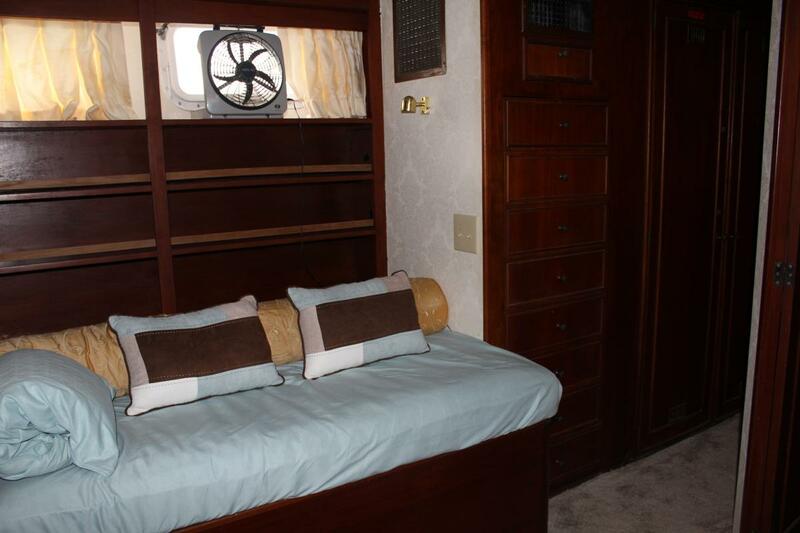 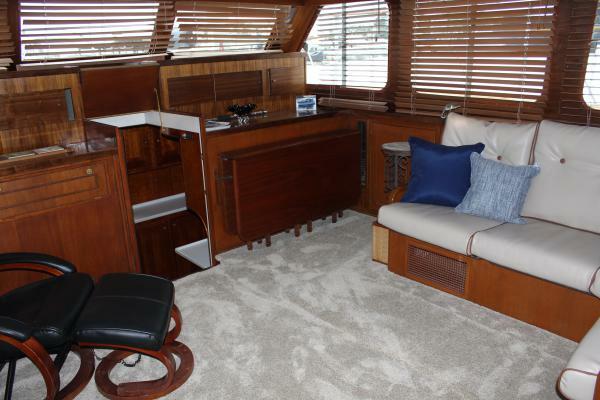 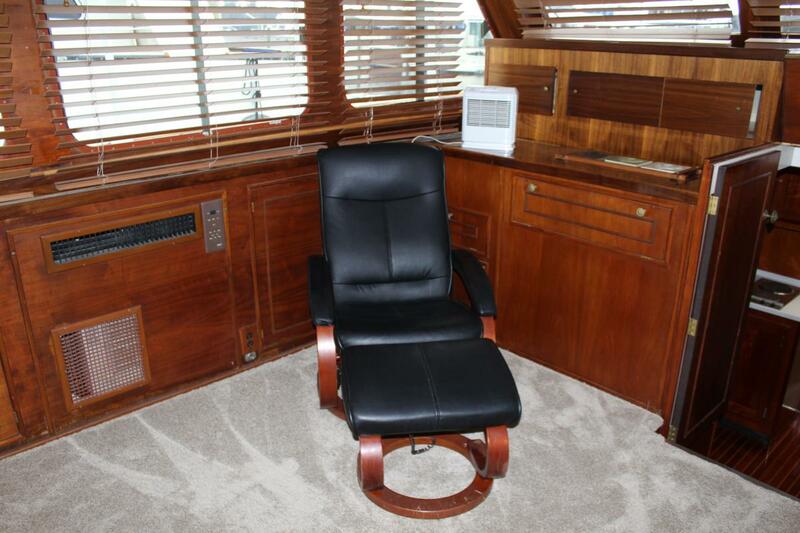 Ample space for entertaining in the wheelhouse or salon.